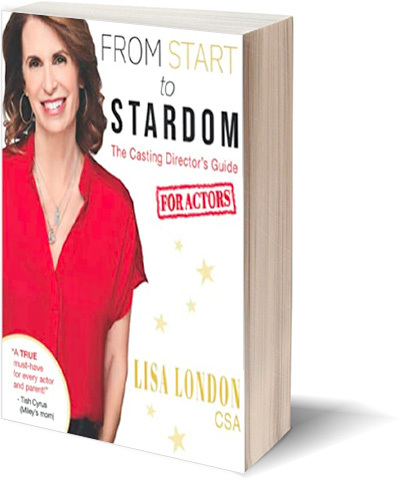 Lisa London has written a book for actors! Lisa London and Catherine Stroud have one of the most successful casting companies in Los Angeles. They are known for their incredible eye for talent. Whether they are casting new talent who go on to become stars such as Jonah Hill in Grandma’s Boy, Miley Cyrus in Hannah Montana, Selena Gomez, Yara Shahidi, Mark Ruffalo, in one of their first television projects or casting Emma Stone in The Suite Life of Zack and Cody and House Bunny who then becomes the new “It” girl of Hollywood, their passion for casting is undeniable. Lisa and Catherine are the kind of casting directors who go that extra mile to get you the perfect actor for your project. They have cast numerous “hit television shows and features” for such companies as Happy Madison Productions, HBO, ABC, CBS, NBC, FOX, Sony Pictures, Paramount, 20th Century Fox, Screen Gems, Nickelodeon, Disney Channel and Amazon to name a few.